Can a Christian film be both hopeful and tackle real, meaningful issues? Independent director, Julio Quintana, visited Regent University last week to screen their new film, The Vessel. He and his wife Marla, the film’s producer, were able to sit down with the Daily Runner for an exclusive interview, shown below. The film is a culmination of seven years of work. Both Julio and Marla have previously worked with famed auteur director Terrence Malick (whom they affectionately refer to as “Terry”), who serves as an executive producer for their film. It was their connection to Malick that let them land Martin Sheen as one of their leads – the pair previously worked together on Badlands, Sheen’s first breakthrough role. The film is an industry first as the entire movie was shot and released in two languages. Every actor on set, including Martin Sheen, delivered their lines in separate takes in order to create both an English and Spanish version of the film. The Vessel, which is scheduled for a limited release this September, tells the story of a small town that has been beset by a great loss. 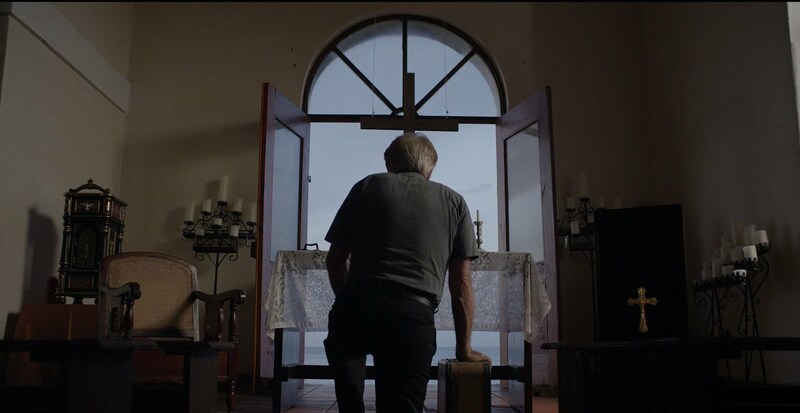 Years after a tidal wave robs the village of its school with all the children trapped inside, the town’s priest (Martin Sheen) is forced to try to bring passion back to the faith of a community consumed by mourning. At its core, the film is a heartfelt narrative about the relationship between tragedy and miracles. It’s an unflinching look at how loss can shape our beliefs, and unlike many faith-based films released today, The Vessel doesn’t offer easy answers to the moral questions it poses. It doesn’t feature miraculous solutions or try to make a political statement. It’s a film that embraces the mysteries of our faith surrounding loss and heartbreak, forcing the viewer to think about the enigmatic way in which God chooses to work. The film ends with the idea that there is still a comfort that lies in the search for answers and that there’s still a beauty to be found in the mystery surrounding God. For more information about the film and where you can find it, check out its website. Intrigued? Take a look at the trailer for the film below. Mark Vinzani is the Managing Editor for the Daily Runner.